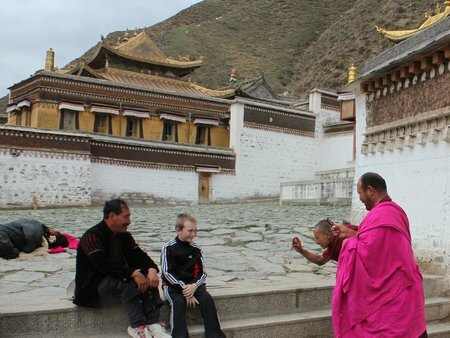 This entry was posted in China, International Escapades and tagged China, China With Kids, Labrang, Xiahe on May 30, 2011 by wandermom. 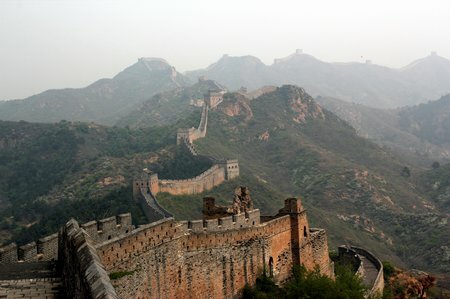 Once you heard we were going to visit China you knew there’d be a Great Wall photo (or twenty). Let’s just get this over and done with, shall we? 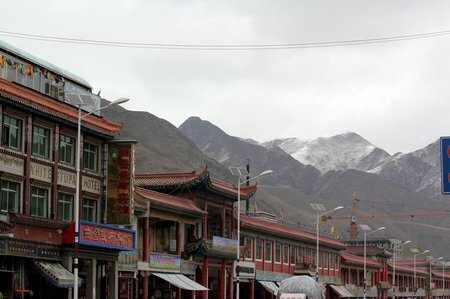 We opted to take a tour all the way out to Simatai – a three hour drive from Beijing – to hike the Great Wall. It was a 10k hike along a less-touristed part of the Wall (the drive being pretty de-motivating for most people) and I thought it was spectacular. 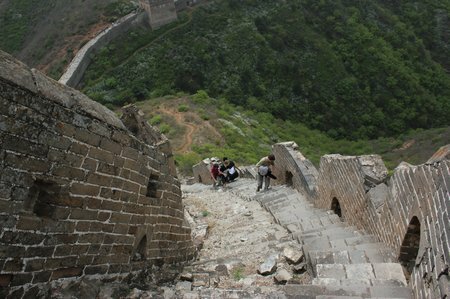 It was everything I imagined the Great Wall would be: a crenellated medieval wall in a remote, mountainous part of China. Murph wasn’t so sure that it was worth the effort – it’s just as well that I do most of our planning. That small black spot near the front of the picture is BigB, marching off into the distance. 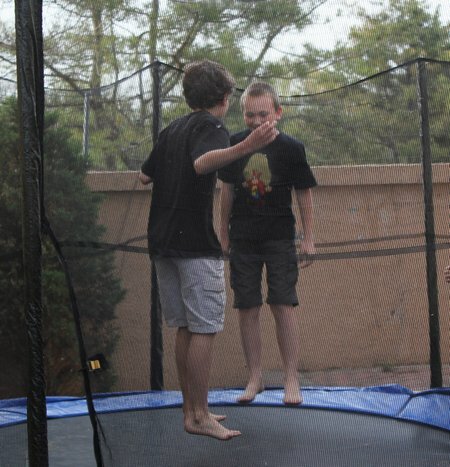 Pretty cool photo, eh? This is a gratuitous “in case you were jealous” photo. The hike was only 10k but it was pretty strenuous with some fairly steep sections and a lot of crumbling brick – but it was still worth it. 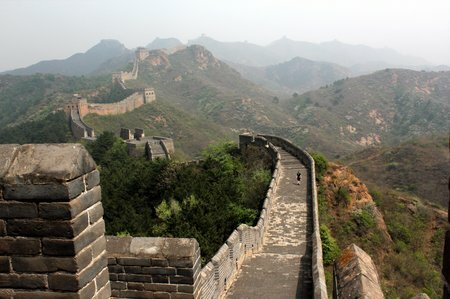 This entry was posted in China, Kid Travel Photos and tagged China, China With Kids, Great Wall Of China on May 27, 2011 by wandermom. 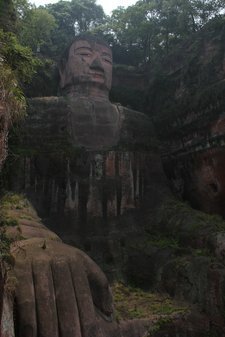 This is the Big Buddha at Leshan. At 71 metres high and over 1,300 years old, this is one impressive statue. The problem, though, is that so many people want to oogle the stone behemoth. We’d probably have taken the time to see the Big Buddha anyway, but we also needed to extend our Chinese visas and we’d heard that the PSB (Public Security Bureau) in Leshan was friendly and efficient. I was more than a little wary about this, our first real interaction with the Chinese state but we didn’t have much of an option we had less than a week left on our current visas. Murph, aka Mr. Laissez-Faire, said I was fretting for nothing. For our boys visas fall into the “Stuff Parents Do” category i.e. to be ignored unless they need to stand in front of an official to prove ownership of a passport. 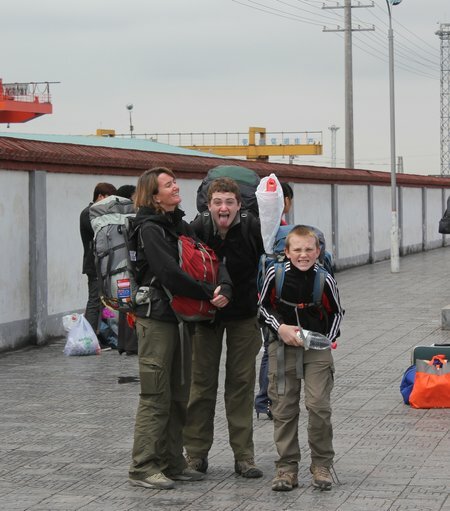 This entry was posted in China, International Escapades and tagged Big Buddha, China, China With Kids, Leshan on May 24, 2011 by wandermom. This is the temple where we spent the night on our 2-day hike of Mt. Emei (Emei Shan) in Sichuan, China. The complex is pretty large and although the temple is not the most elaborate or picturesque on the mountain it did have decent rooms, a dining room and (drumroll!) hot showers. Our kids were happy just to stop. The bathrooms deserve particular comment. They were the stinkiest that we’ve experienced not least because the water just washed the waste into a channel behind the temple where there was a nice build-up of months, maybe even years, of human waste. “Temple Toilets” is our new short-hand for the most basic and truly stinky category of facilities. 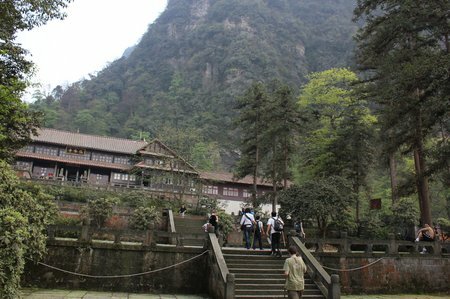 This entry was posted in China, International Escapades and tagged China, China With Kids, Emei Shan, Hiking on May 23, 2011 by wandermom. 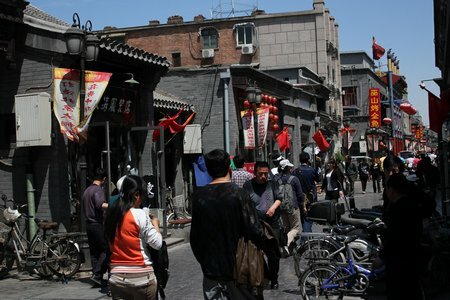 This entry was posted in China, Kid Travel Photos and tagged Chengdu, China, China With Kids, Family Travel China on May 20, 2011 by wandermom. In Chengdu we stopped at a western-style restaurant for dinner. As we’re traveling we do try to eat locally, especially at markets, but every so often we need to feed the kids familiar food to perk up their mood or just give them a chance to carbo-load on bread or pasta. In this case, we stopped at a little Italian restaurant called High Fly Pizza which was recommended in our Rough Guide China guidebook. BigB ordered chicken wings which, as you can see, were presented in a uniquely Chinese way. 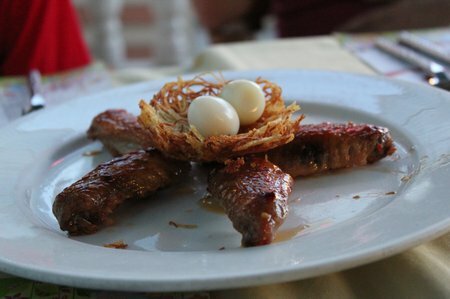 Head on over to WanderFood Wednesday for more travel-themed foodie photos and recipes. 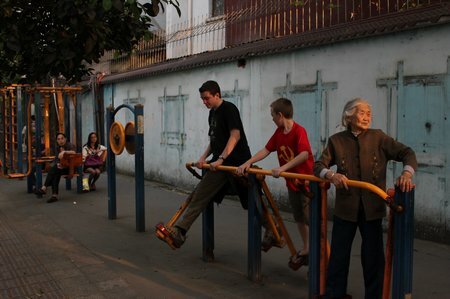 This entry was posted in China, Food and tagged Chengdu, China, China With Kids on May 18, 2011 by wandermom.